If you’re looking for quick, easy and practical solution to preserving your car’s original upholstery, look no further than car seat covers. Aside from make, model and style, the most important thing to consider when choosing seat covers is the material they are made of. You should go with something that will not only protect and prolong the life of seats, but something that is durable, comfortable and easy to maintain. Of course, personal preferences and budget play an important role in this decision-making process, but if possible, opt for durability as it will save you money in the long run. 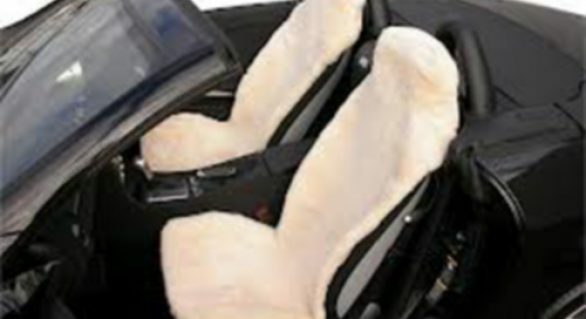 Majority of car owners purchase fabric seat covers, but lately a lot of attention is being put on sheepskin seat covers and the benefits they carry. Let’s go over some of the benefits this seat covers have over fabric ones. Comfort – This is No.1 reason why you should invest in quality custom sheepskin seat covers over cloth ones. They are the most comfortable and the coziest seat covers manufactured at the moment and add to the warmth and exceptional driving experience. 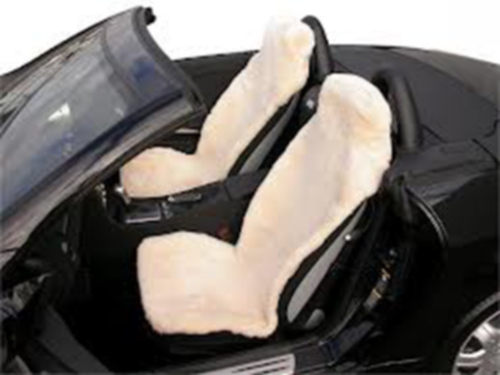 Temperature Resistant – Unlike fabric car seat covers, sheepskin ones are temperature resistant. This means that they will keep you cool during hot summer days and warm in cold winters. Sheepskin covers have the ability to maintain a constant temperature regardless of the weather conditions, not something fabric covers feature. Also, sheepskin covers absorb sweat faster and easier so you’ll never come home with a sweaty back again. Durability – Sheepskin seat covers are very durable unlike fabric ones which wear more quickly. They are resistant to normal tear, UV damage and possible spills. Also, the color of fabric coves fades faster when exposed to sun for a long period of time which also contributes to faster fiber deterioration. Maintenance – Fabric car seat covers require regular maintenance which means vacuuming once a week and immediate attention to spills. If stains are not treated in time, your fabric covers will soon be featuring dirty look and you’ll be forced to replace them. It is known that cloth tends to absorb stains easily as well as odors. Thus, if you often drive around with your pet or smoke in your car, make sure you clean the interior of your car once a week and machine wash fabric covers at least 3 times a month. On the other hand, sheepskin covers are easier to maintain and do not require such attention to detail as they are stain-proof. It is recommended to hand wash them in luke warm water using a mild detergent and to vacuum and brush them with coarse brush once a month.